When I think of the holiday season, I always envision luscious garlands draped across doorways and railings. I’ve long wished for a railing of my own to decorate for the season, and this year is the first time my dream has come true! I knew I wanted to use a garland on my railing, but I wanted to depart from the traditional fresh or faux greenery look. After my experience with crepe paper for my Halloween costume, I was inspired to work with the multi-purpose material again. 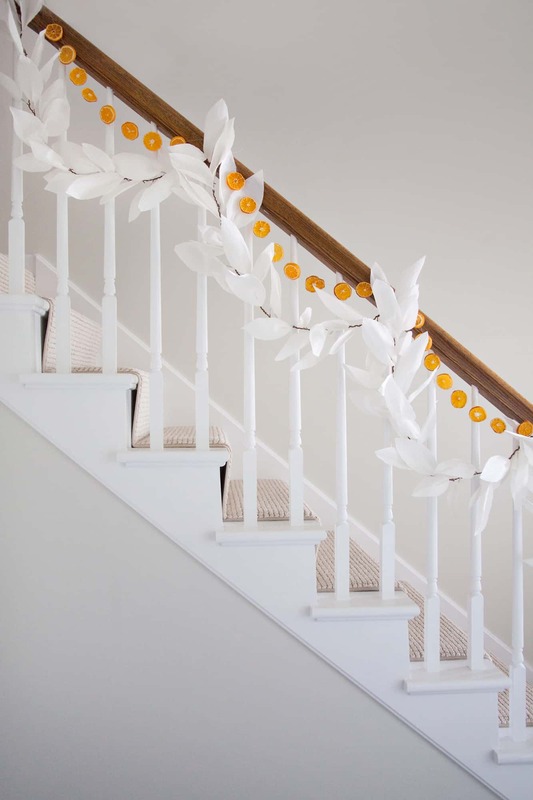 This time around I’m making a white paper leaf garland and adding a pop of natural color with dangling mandarin slices. 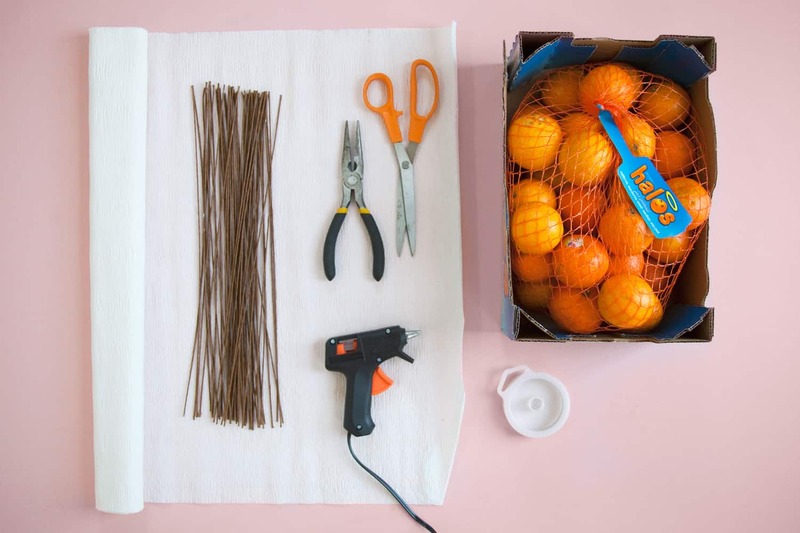 We partnered with Wonderful Halos on this project to show you how quick and easy it is to fashion your own inexpensive holiday garland, using the fresh and natural addition of mandarins to brighten your home with its color and scent. 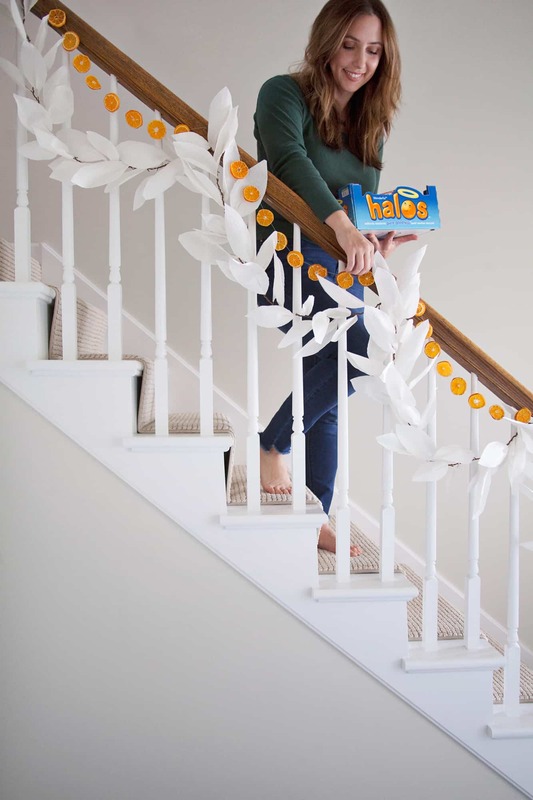 Halos are also sweet and healthy so if you need a snack while working on your garland they’re perfect as a treat or a craft supply. 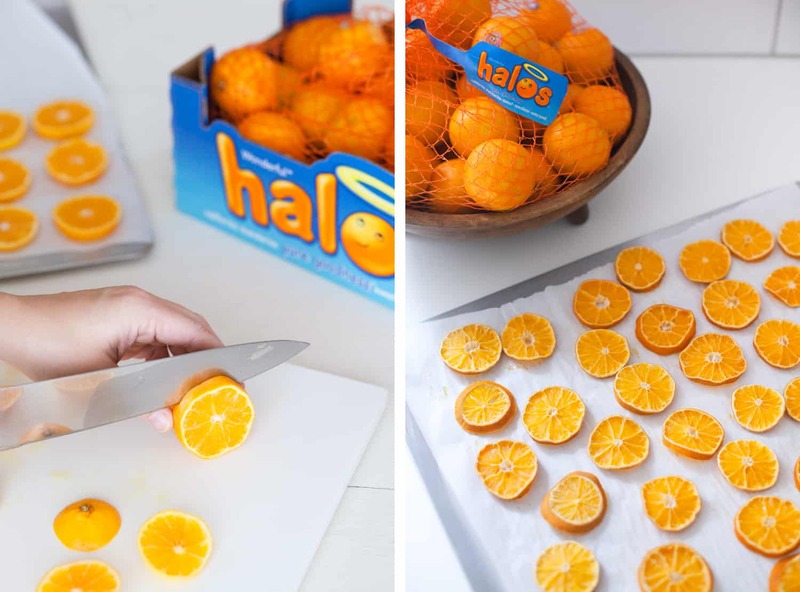 Cut your mandarins into slices around 1/8″ thick. You may choose to lay the slices flat and air dry for a few days, or dry in the oven. My mandarins end up much flatter (less curly-edged) when I air dry them, but it does take a bit more time, of course. If drying your mandarins in the oven, set the temperature for 200 degrees Fahrenheit, line a tray with parchment paper or a silicone mat, and place in the oven for 2-3 hours, depending on how thick your slices are. Turn the mandarin slices every 30 minutes or so to aid the drying process. 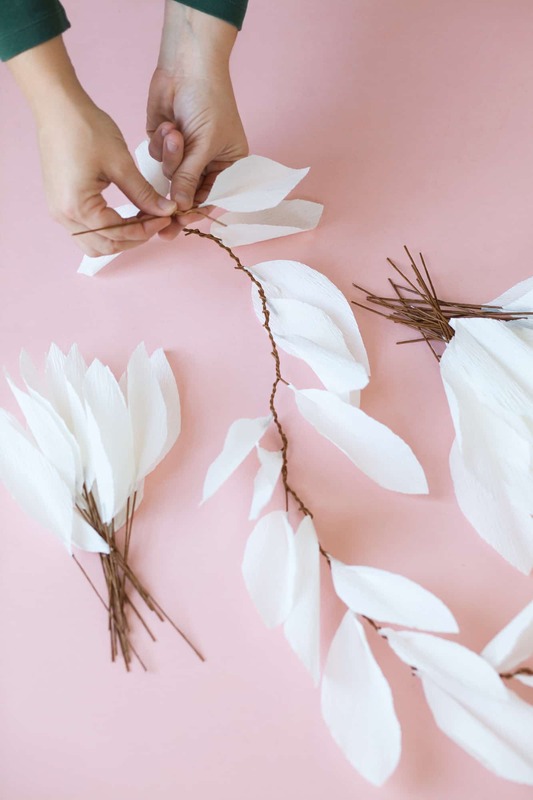 The paper leaf garland was super quick and easy to make—I know I’ll be whipping these up again for parties and other seasonal decorations! 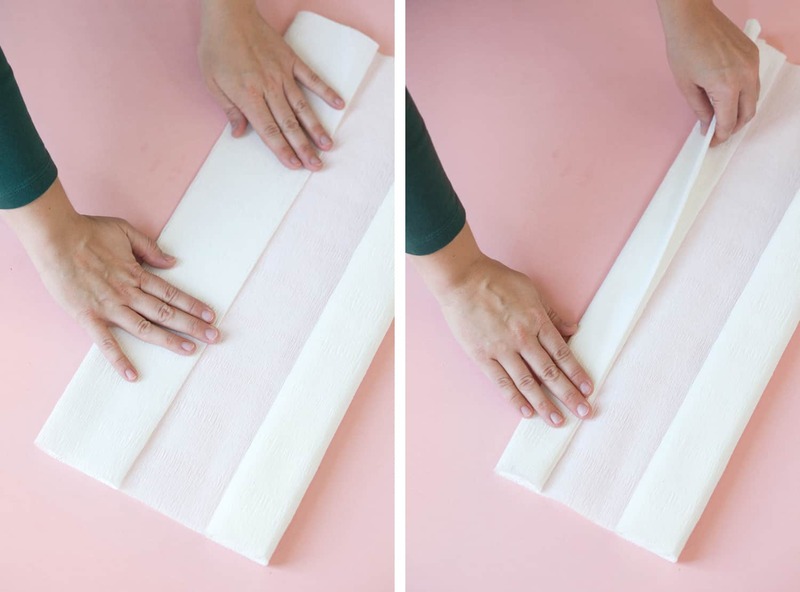 Step One: Accordion fold your crepe paper to create 6 layers of paper. Keep the width of your fold no more than 4″. Once you have 6 layers of paper, fold the layers in half as shown above. Step Two: Cut out leaf shapes from the layered crepe paper, making the center of the leaf at the bend of your layered crepe paper. I created a variety of leaf shapes and sizes, but made sure not to make leaves wider than 4″ to keep them from being too floppy. Step Three: Cut your long wire pieces into thirds. This doesn’t need to be exact, but try to keep them somewhat consistent. Step Four: Use a hot glue gun to attach the wire segments to the leaves. 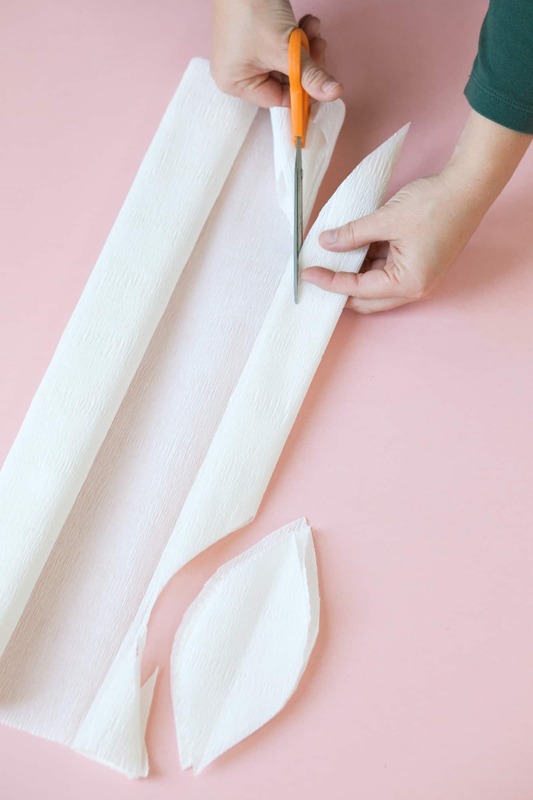 Once the glue is on the crepe paper, pinch the paper around the wire and hold for a couple of seconds to set the glue. Step Five: Twist together the wires of the individual leaves to create a long garland. I varied the placement of different leaf shapes to create a more organic feel. 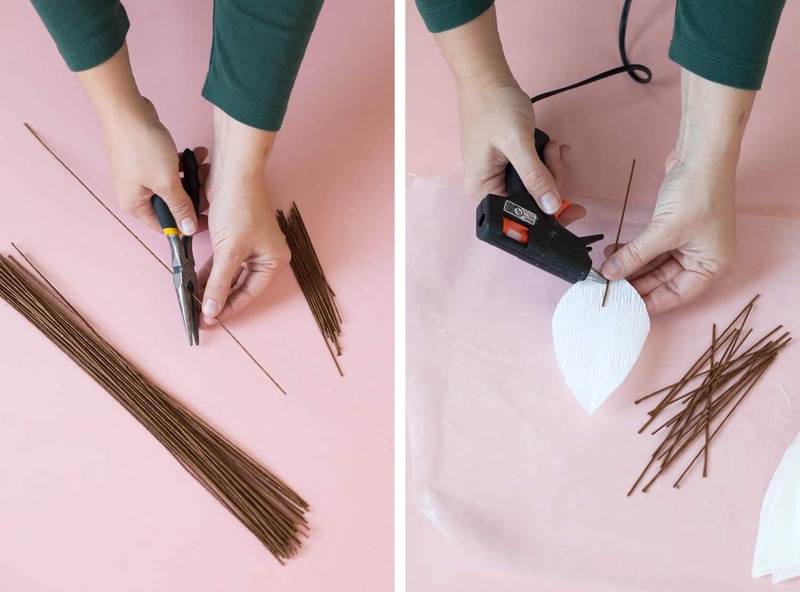 After hanging the garland, you’ll want to pull open the leaves and shape them so they fill out the area. Step 6: Use wire or string to hang your garland where you wish to display it. At the peaks of the garland, I strung together a series of dried mandarin slices to dangle down. 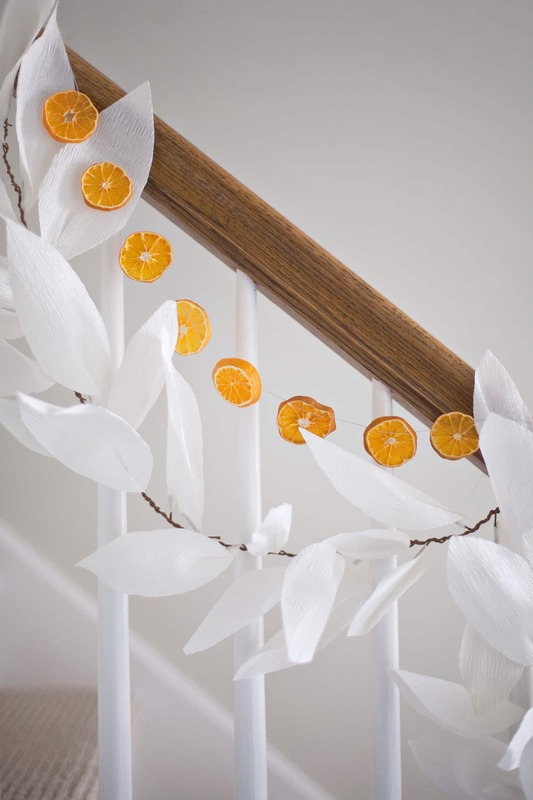 It would also look so pretty to layer a garland of dried mandarin slices atop the paper leaf garland!